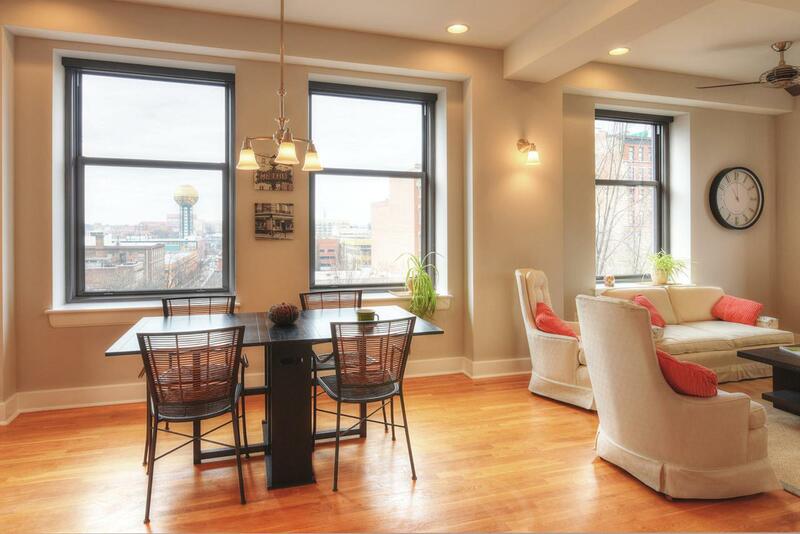 Natural light in all three bedrooms! 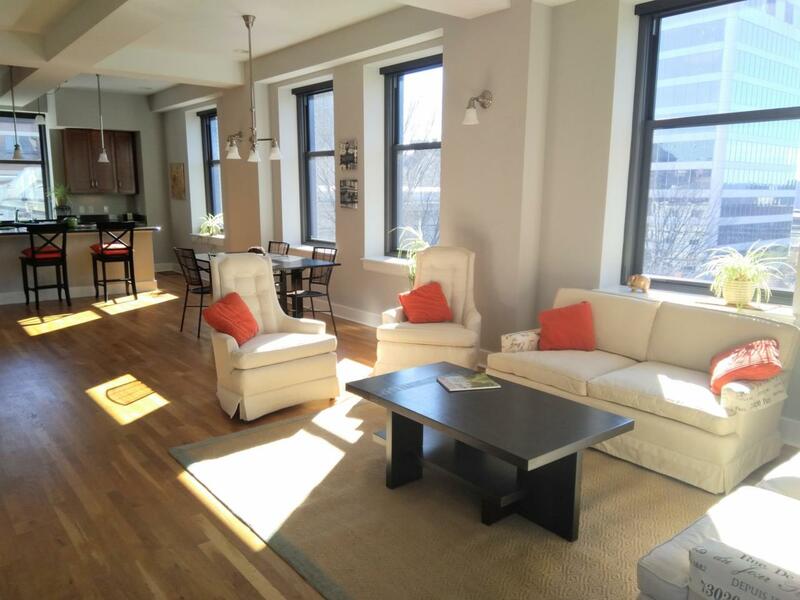 You'll feel like you live on the edge of Central Park in this spacious, light-filled loft. 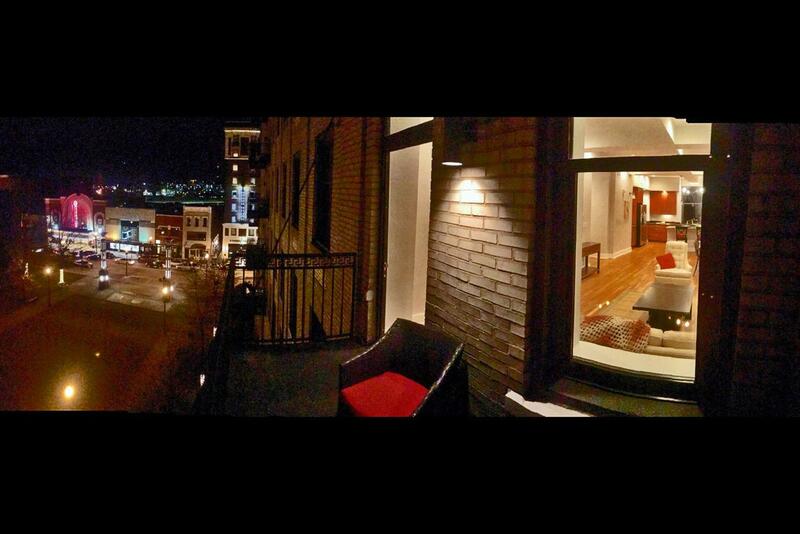 Truly in the center of downtown activity, your balcony overlooks Krutch Park, site of the Rossini festival and annual tree lighting, and the bi-weekly Farmer's Market. Entertainment abounds! Just across the street are both Regal Cinemas and the historic Tennessee Theater. 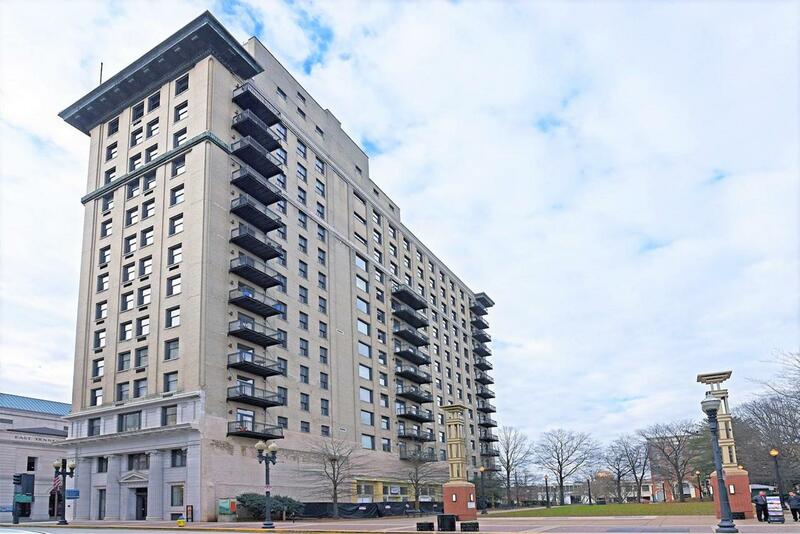 Known as one of the best-run buildings in downtown, you'll enjoy the part-time concierge/doorman service, the deeded basement storage, and the community room with full kitchen. The historic office building, built in the early 1900s, was masterfully renovated in 2008 into an upscale community, now home to great people who can't wait to meet you. Come home to The Holston, your new downtown oasis.Dues include: Water & sewer for unit and common room, common expenses (insurance, electricity for hallways & elevators, elevator maintenance, fire alarm/sprinkler service and monitoring, door access & security, pest control, window washing once/yr, janitorial, management company, doorman 10am-3pm weekdays, contribution to reserve fund) and AT&T U-verse TV and 100Mbps Internet.